We all know good metadata is extremely important. It's how your content gets organized to meet your specific site and business needs, but more importantly it's how your clients discover your music. At SourceAudio we offer a wide variety of tools that allow you to edit, manage and optimize your metadata. You can edit individual tracks, update batches all at once with the rules tool, or you can import entire spreadsheets all at once. Even with those tools being available we have had many requests from SourceAudio Network Partners to offer deeper metadata services for those instances where you don't have the time to make the updates on your own, or you would just rather focus on making music and sales rather than staring at spreadsheets. So, we're excited to announce our new Metadata Support Services. 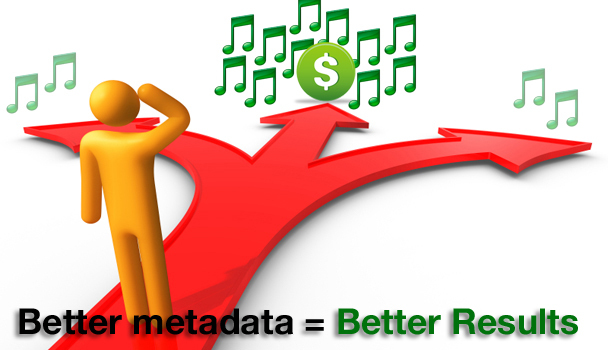 With our Metadata Support Services you get a music industry professional with years of experience optimizing and managing metadata to work closely with you on a project-based basis. Got a spreadsheet that's not importing properly? We can manually fix that. Want to make updates to entire catalog but don't have the time to do it on your own? We can handle it. Do you need help tagging your tracks with moods, styles, keywords, genres, cue types, and other musical attributes? We've got experienced music professionals who can do that too. Our metadata support staff is experienced, fast, and knows the SourceAudio platform (and older metadata software systems) in and out. If you need help with any of your metadata or just want to get your changes done very quickly, we can handle everything for you. Our rate for these services is only $65 per hour for regular metadata support, and $3 per track for listening to and tagging your music. Feel free to reach out with any questions at anytime or for an estimate on a metadata job that you would like us to knock out as fast as possible!